Is it a Food Allergy, Intolerance, or Sensitivity? Of the information generation, many are self-diagnosing as being "gluten free," "lactose intolerant," etc. While removing these foods from a diet will almost never cause anyone harm, it often requires a more thorough understanding to truly comprehend if what we're eating, drinking, or breathing can harm us or heal us. A food allergy occurs when the immune system mistakes an ingredient in food as harmful and creates an immune response to fight it. Antibodies are produced in response to the offending food which can trigger a chain-like reaction, affecting numerous organs in the body. Specifically, with a true allergy -- IgE antibodies are created, which if elevated can potentially create a wide range of symptoms. In some cases, these symptoms can be very severe, including death. If you have a food allergy, even a tiny amount of the offending food can cause an immediate, severe reaction (within seconds to minutes). Digestive signs and symptoms may include nausea, vomiting, cramping and diarrhea. Other signs and symptoms can include a tingling mouth, hives, and swelling of the lips, face, tongue and throat. A life-threatening allergic reaction known as anaphylaxis can cause breathing trouble and dangerously low blood pressure. Food allergies, which can be genetic, affect approximately 4 per cent of adults and 5 per cent of children. If you have a food allergy, you'll need to avoid the offending food entirely. A food allergy is determined by your primary healthcare provider via an IgE blood or a skin prick allergy test. Most food reactions known today are caused by a food sensitivity rather than a true food allergy. Sensitivities are commonly confused as an allergy, however there is a noticeable and measurable difference in the immune response. In a sensitivity only IgG, IgA, and IgM antibodies are produced. While technically this is still a form of an allergy, symptoms do not appear as immediately as they do with their dramatic cousin, IgE. Sensitivities are also much more subtle in their onset, taking anywhere from one hour to three weeks for their symptoms to appear. Food sensitivity antibodies are measured accurately via a blood test only. While the symptoms are similar to food allergy, a food intolerance does not involve an immune reaction (i.e. no antibodies produced). Rather, intolerances occur when an ingredient/compound in a food irritates a person's digestive system or when a person is unable to properly digest the food outright. Symptoms of an intolerance are primarily gastrointestinal and include stomach pain, gas or bloating, heartburn, vomiting and diarrhea. If you have an intolerance, you may be able to eat small amounts of the offending food without trouble, however too much can send your system in a tailspin. 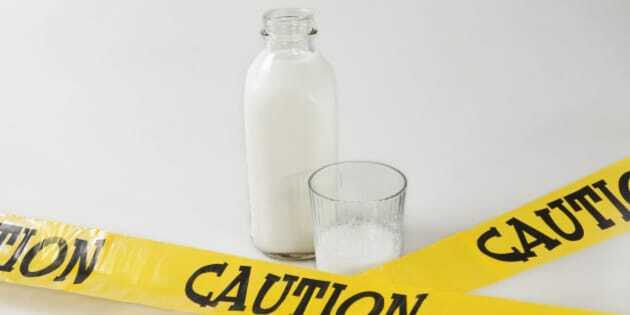 Intolerance to lactose (an ingredient in most milk and dairy products) is the most common food intolerance and affects about 10 per cent of North Americans. You may also be able to take steps that help prevent a reaction. For example, if you have a lactose intolerance, you may be able to drink lactose-free milk or take lactase enzyme pills that aid digestion (such as Lactaid). This post also appears on John Dempster's blog.